On the Novus Ordo liturgical calendar today, we honor Saint Dominic de Guzman (c.1174 – 1221), yet on he died on August 5th and on the Extraordinary Form liturgical calendar the feast is celebrated on August 4th. Dominic was a pivotal figure in the life of the Church in the 13th century in similar ways that others were, including the Poor Man of Assisi. The inspiration of Dominic set the world ablaze with fire in ways unknown since the time of the 12 Apostles and the early Church bringing the Good News of Jesus Christ to all people, the sacraments, teaching truth and fact and living in a compassionate way among the people. One great example is that the early Dominicans taught about the goodness of creation versus the prevailing idea of the 13th century that taught the opposite causing disturbing results of uncertainty and false notions of God and the beauty of humanity. Hence it can be said that Dominic was raised up by Divine Providence so as to bring to birth a new movement within the Church – itinerant mendicant friars – and he accomplished this by engaging with the needs of his time and in collaboration with other people. 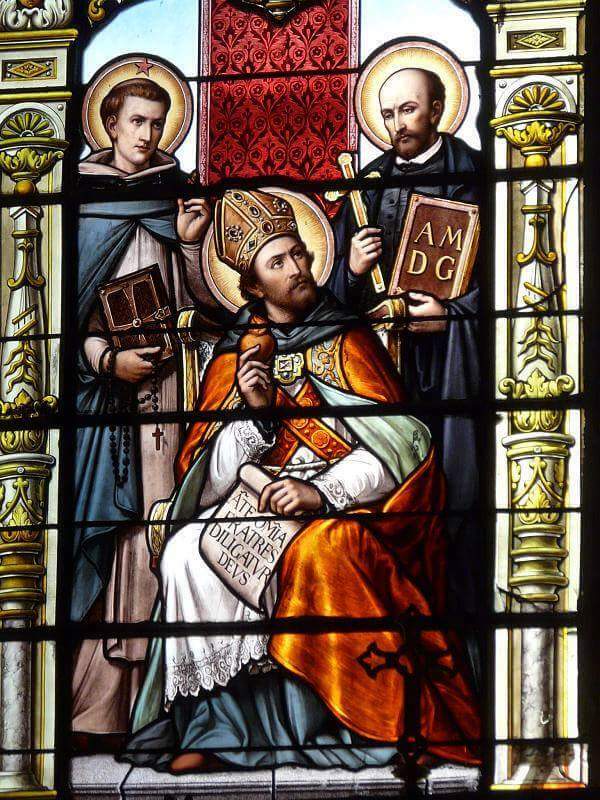 “It was always with his brethren and with the authorities of the Church that he shaped the nascent Order of Preachers.” By his own self-reflection Dominic called himself “the humble servant of the preaching” and this is first part of the charism of the Order. The group founded by Dominic was known as the “Friars Preachers” and the Church entrusts them with the preaching mission and officially recognized by the Church on 21 January 1217, by Pope Honorius III. 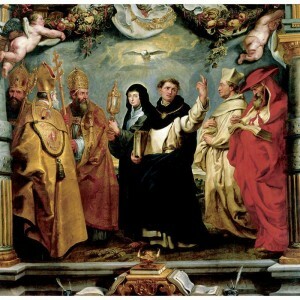 800 years later, Dominic continues to move the hearts and minds of contemporary men and women in love of the Trinity: the Order of Preachers has a part of the family the friars (the first order), the cloistered nuns (the second order), the sisters (the third order), the secular priests’ group and the fraternity (the third order laity) and countless others who have picked up the charism. One old aspect of the Dominican charism that needs to be restored is the group of donati (like the famous St. Martin de Porres was). 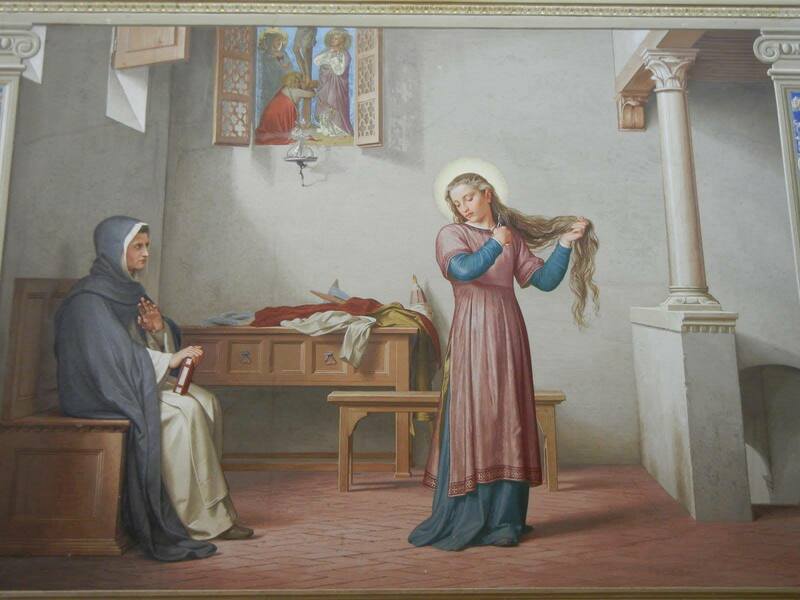 As the image shows, Saint Catherine of Siena cutting her hair and putting aside her beautiful clothing is interpreted as an act of modesty, chastity and a gesture of asceticism. Thus, she turns her eyes toward the Lord her Divine Spouse and away from man (the world). Like the Sienese Saint, every believer feels the need to be conformed with the sentiments of the heart of Christ to love God and his neighbour as Christ himself loves. And we can all let our hearts be transformed and learn to love like Christ in a familiarity with him that is nourished by prayer, by meditation on the Word of God and by the sacraments, above all by receiving Holy Communion frequently and with devotion. Catherine also belongs to the throng of Saints devoted to the Eucharist with which I concluded my Apostolic Exhortation Sacramentum Caritatis (cf. n. 94). Dear brothers and sisters, the Eucharist is an extraordinary gift of love that God continually renews to nourish our journey of faith, to strengthen our hope and to inflame our charity, to make us more and more like him. How much more ought we to follow this most beloved saint today: she indeed speaks to the heart of the matter. If you are serious, look at Catherine! 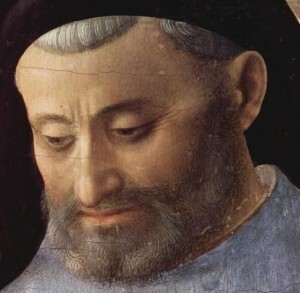 Brother Angelico was reported to say: “He who does Christ’s work must stay with Christ always.” This motto earned him the epithet “Blessed Angelico,” because of the perfect integrity of his life and the almost divine beauty of the images he painted, to a superlative extent those of the Blessed Virgin Mary. Quoted of Saint John Paul II, who beatified Fra Angelico on October 3, 1982, and then in 1984 declared him patron of Catholic artists. Blessed Angelico (his name in religion was Fra Giovanni) joined the Dominicans in Fiesole, Italy in 1407. He was taught to illuminate missals and manuscripts, and immediately exhibited an awesome talent as an inspired artist. Today his works can be seen in the Italian cities Cortona, Fiesole, Florence, and in the Vatican. 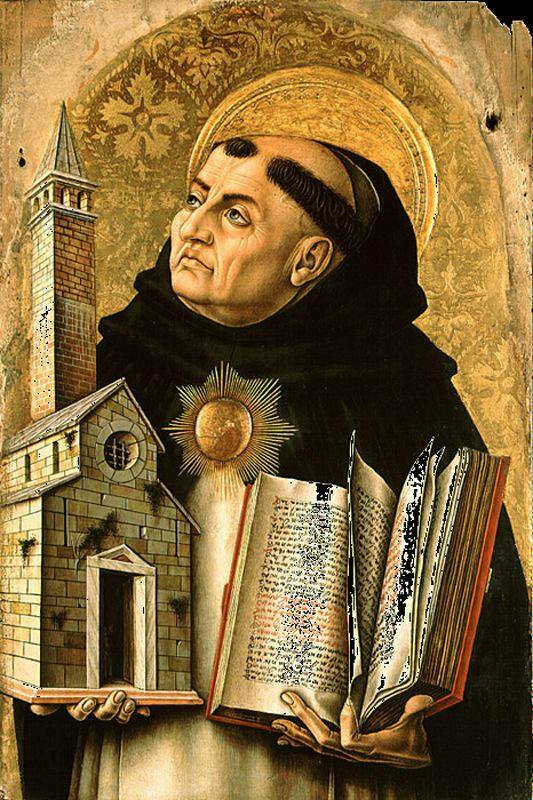 The Church in the Ordinary Form gives us for today the feast of the great Dominican saint and theologian Thomas Aquinas, Doctor of the Church. He stands head and shoulders over all of our thinkers. Saint Thomas’ great love passed down to us is the Holy Eucharist. Aquinas wrote many Eucharistic hymns especially for the Feast of Corpus Christi, whose observance had been urged by the Premonstratensian canoness Saint Juliana of Liege. In this image by Peter Paul Rubens, the ‘Defenders of the Eucharist’ we have Saint Thomas with Saints Augustine and Norbert.